Florida Georgia Line has bought some dirt of their own-and they're opening a business on it! 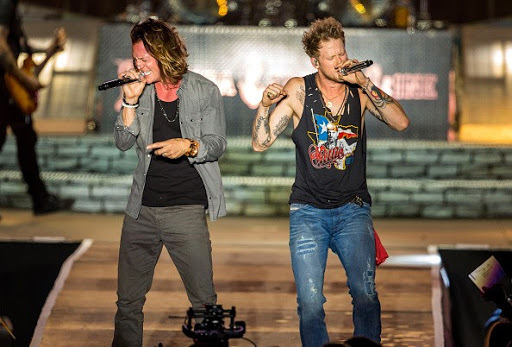 According to the Tennessean, the duo's Tyler Hubbard and Brian Kelley have purchased a pair of small office buildings on .38 acres of Nashville land. The boys and their wives have big plans for the properties, including a Tribe Kelley Trading Post retail store for Brian and Brittney Kelley's clothing line and a "one-of-a-kind" coffee shop. FGL also plans to open their Tree Vibez Music publishing company and studio. The project, which Tyler and Brian describe as a new "hang out" in Nashville, is expected to be completed next summer.